Like your other security features and mechanical equipment, you must ensure your commercial doors are maintained properly to prevent avoidable issues early and keep them functioning well. Great Lakes Security Hardware can arrange regular commercial door maintenance that’ll do exactly that. If your commercial doors have become broken or damaged, the security of your company premises could be at high risk. We provide a comprehensive commercial door maintenance service that can identify the real cause of the malfunction in the lock mechanisms and repair any damage or issue that has happened. • Damaged caused by vandals and intruders. • General wear and tear, including the replacement parts. Our team have years of experience maintaining and repairing commercial doors and will not waste your money or time on a repair if it’s unlikely or unsuitable to last. You can depend on us to offer and install a high-quality and cost-effective replacement door to restore your safety and security. When it comes to keeping your commercial doors in good condition, you should find a reputable and professional door repair and maintenance company you can fully depend on. Generally, these maintenance service providers offer a wide range of services from installation to repairs and maintenance. But, with many commercial door repair and maintenance companies on the market today, it is imperative you select the right one to make sure they’re the perfect match for your business. We will provide some of the factors you need to consider to make a wise choice. You need to determine whether the commercial door repair company in Michigan has extensive knowledge and experience of what they do. They must evaluate, maintain and repair all types of commercial doors. First of all, you should ensure the commercial door installation company has a great reputation in your location. 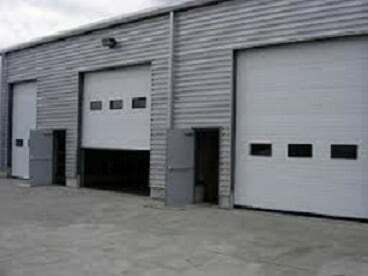 Whether you’re looking to maintain cold storage doors, overhead coiling doors, sectional overhead doors or something else, you would need the company to have an excellent reputation for offering you high-quality workmanship you seek. Asking other building owners or businesses in your area for their recommendations can prove helpful. After all, they clearly will not recommend a company unless they were satisfied with their services! You should consider the cost of repair and maintenance service. While cost is a deciding factor, it is essential to remember cheap does not always mean better. More often than not, cheap services are more likely lead to complaints regarding its quality. For that reason, always go for high-quality work over cost! Another crucial factor you must take into account is the turnaround time the company promises. If your company is sitting without a broken door right, you probably will not have the time to wait around for the maintenance company to “come around” and offer the maintenance and repair services you require. So, you’re better off selecting a company which provides a 24/7 service, with emergency same day services if necessary.